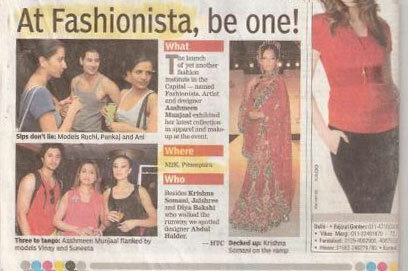 M2K Cinemas salutes women who are growing rapidly in every aspect of life. 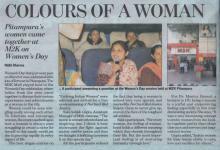 As a tribute to Women’s of India, M2K Cinemas celebrated Women’s Day at M2K Mall, Pitampura. As a part of the event, a slogan contest for women on “Evolving Indian Women” was conducted. The best entries were invited for the event which involved discussion on “Evolving Indian Women” and free movie screening of “No One Killed Jessica”, a women oriented movie showing the fight of a woman for justice. 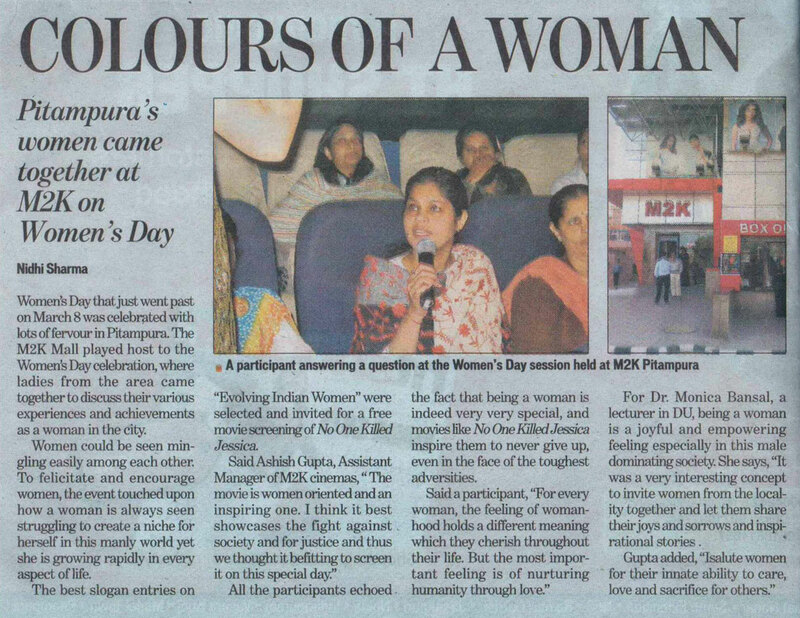 Women actively participated in the discussion and all of them echoed the fact that being a woman is indeed very special. Trendz-09, an event organised by M2K Cinemas in association with Fashionista an institution creating new mile stone in the field of Fashion Industry with great applaouse and stunning performance of Models.